The ultimate statement. Another reverse machine in our range. New release of 2012, created in 2012 from an idea by Lucky Diamond Rich (worlds most tattooed person - Guinness World Record holder). Enormous power, particularly suitable for filling or for large Magnums. 10 wrap coils. Weight approx: 250g. Solid handmade steel frame, no casting! 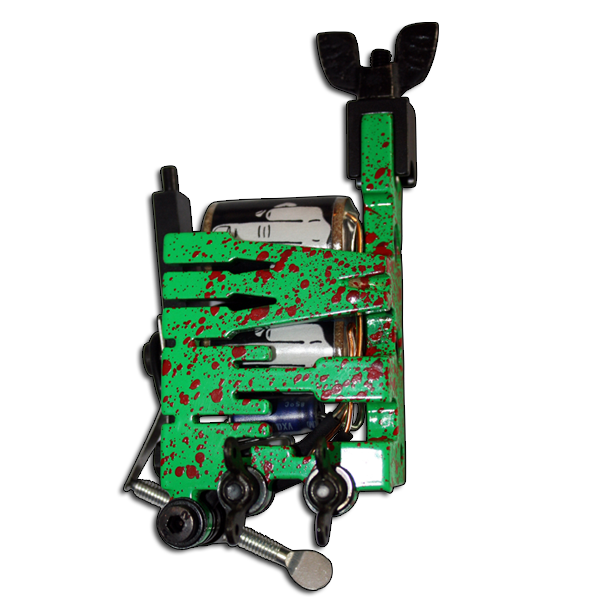 All parts of the machine produced by our company. Laser-cut spring plates from high quality spring steel, for optimum running characteristics. Replacement springs available at any time! Lifetime warranty on workmanship. Lifetime support for complications or repairs! 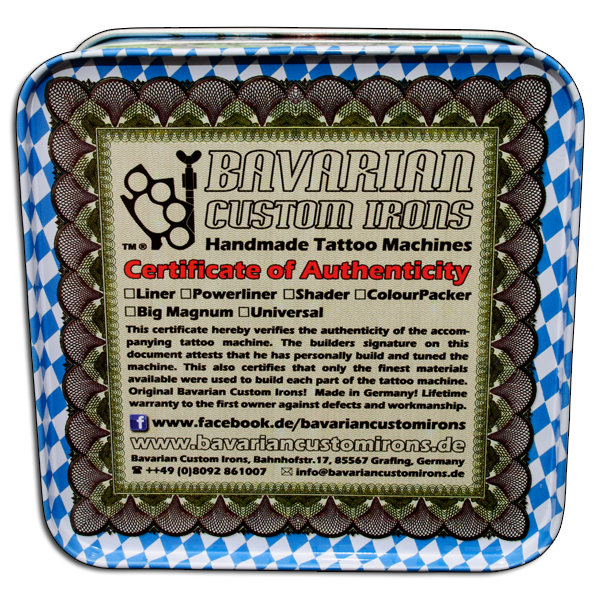 Each machine is delivered in an exclusive metal box with certificate of authenticity. 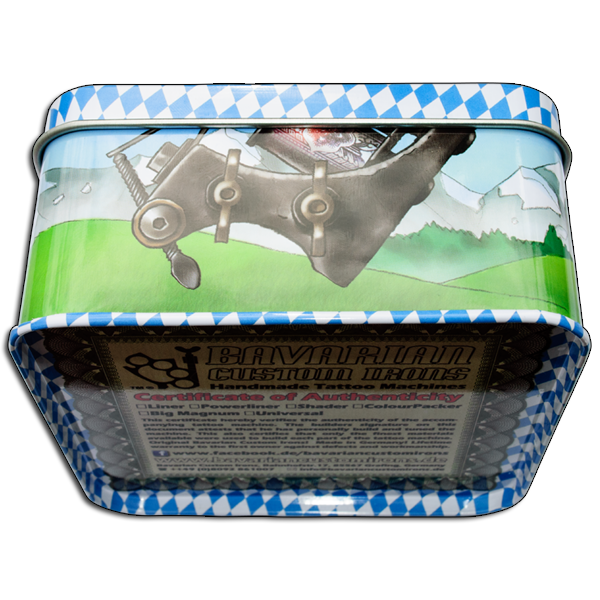 Here you get a quality machine at a fair price - made in Germany! Please note: The machine actually delivered may have slight variations to the machine shown in the picture and video. 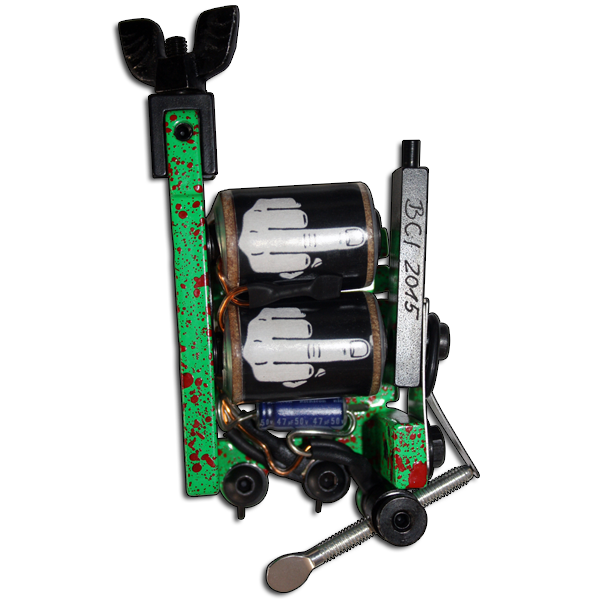 Here, you are purchasing a Handmade Tattoo machine which has been produced with painstaking individual care according to your specifications. Slight deviations in shape and hue are normal. 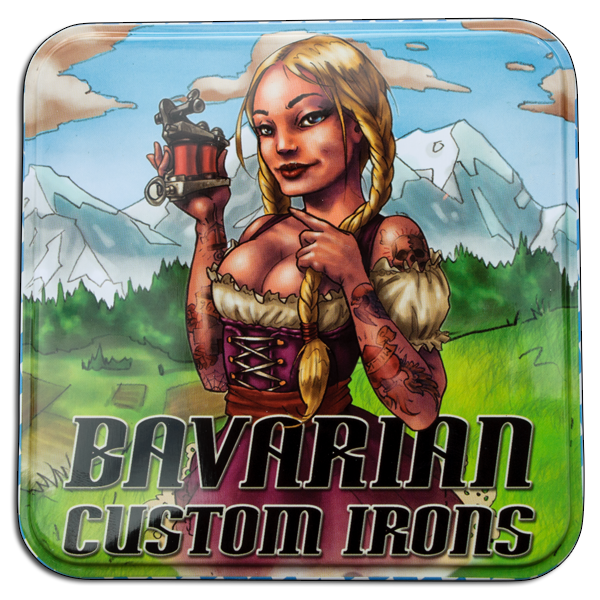 Copyright 2019 Bavarian Custom Irons. All rights reserved.